An interesting actor to say the least. 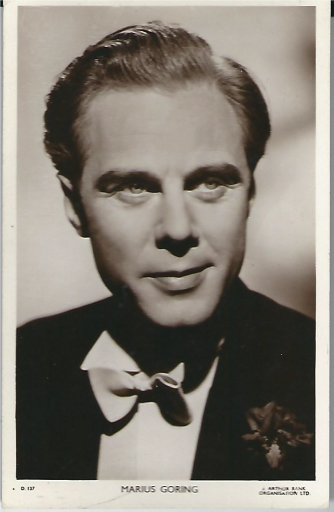 I remember him well as Mr Perrin in ‘Mr Perrin and Mr Traill’ and also in ‘A Matter of Life and Death’ which when his character was down on earth was photographed in that dazzling Technicolor of the time. 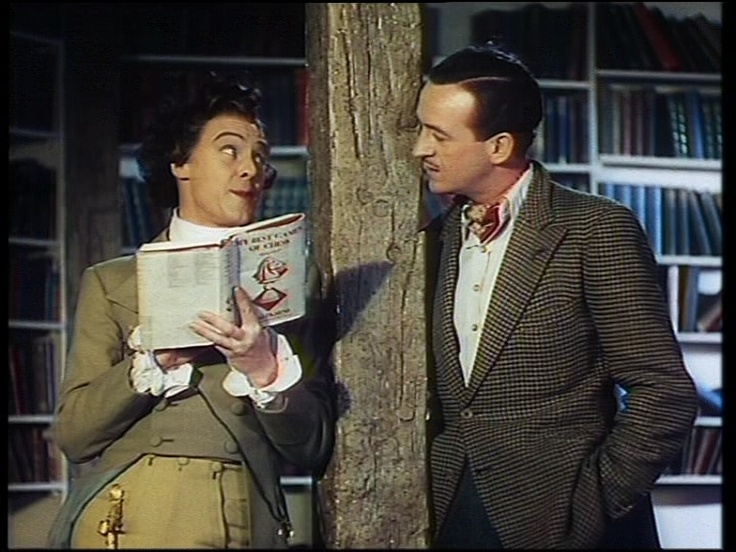 See Below – Marius Goring and David Niven. Because of his suave, continental looks, Goring was often assumed to be foreign, but was born in Newport, Isle of Wight, in 1912. His father was a doctor and criminologist who died the 1918 flu epidemic, when Marius was six; his mother, the former Katie MacDonald, was a pianist who had studied with Clara Schumann. 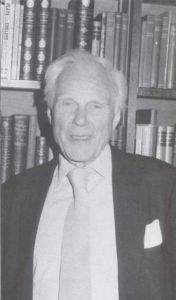 Educated at Cambridge and at the universities of Frankfurt, Munich, Vienna and Paris, Goring determined on a stage career while in his early teens – he first appeared on stage in a Cambridge production at 13 – and studied under Harcourt Williams and at the Old Vic dramatic school from 1929 to 1932. He made his professional debut in 1927, and toured the continent playing classical roles – he was fluent in both French and German. In 1932 he joined the Old Vic, stage-managing two seasons and playing both Romeo and Macbeth among other roles in 1932-34. 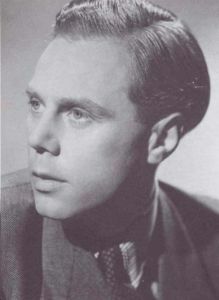 He made his film debut in Thornton Freeland’s The Amateur Gentleman (1935), the screenplay of which was co- written by Clemence Dane, and the following year Goring had a great personal success in the West End production of Dane’s play The Happy Hypocrite with a performance Michael Powell was later to describe as “stunning”. While at Cambridge Goring acted in plays, as he did while studying at two German universities and at the Sorbonne. He returned to England as an apprentice at the Old Vic. When the actor scheduled to play “Macbeth” broke his ankle and the understudy, who was Alastair Sim, lost his voice, Marius acted the leading role for three performances at age twenty. He was seen in Rembrandt (1936), The Spy in Black (1939), and Pastor Hall (1940) with Nova Pilbeam before making his reputation with English movie audiences in The Case of the Frightened Lady (1940), which had been a hit for him on stage. His proficiency in “high German” was put to good use as a member of British Intelligence playing Adolf Hitler on a popular radio series heard throughout the British Isles. 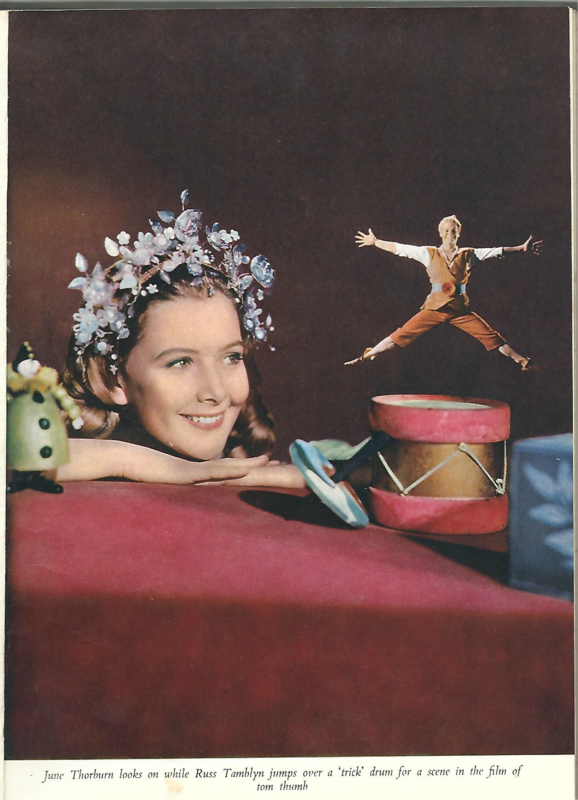 Even after the international acclaim he received for his work in the picture The Red Shoes (1948), he continued to consider himself essentially as a stage actor. 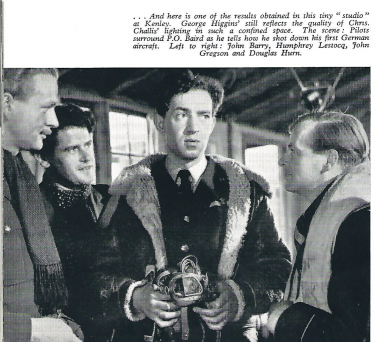 The exceptionally versatile actor has since then appeared in Take My Life (1947) with Greta Gynt, Mr. Perrin and Mr. Traill (1948) with David Farrar, Pandora and the Flying Dutchman (1951), The Magic Box (1951), The Barefoot Contessa (1954), Son of Robin Hood (1958) with Jack Lambert, The Treasure of San Teresa (1959) with Dawn Addams, Exodus (1960), First Love (1970), Holocaust (1977), and La Petite Fille en Velours Bleu (1978). In 1941 he married Lucie Mannheim, the German-born actress who was seen in The Thirty-Nine Steps (1935), So Little Time (1953), and Bunny Lake Is Missing (1965). Marius considers their appearances on stage together, playing in both English and German, to be the high points of his career. She died in 1976. 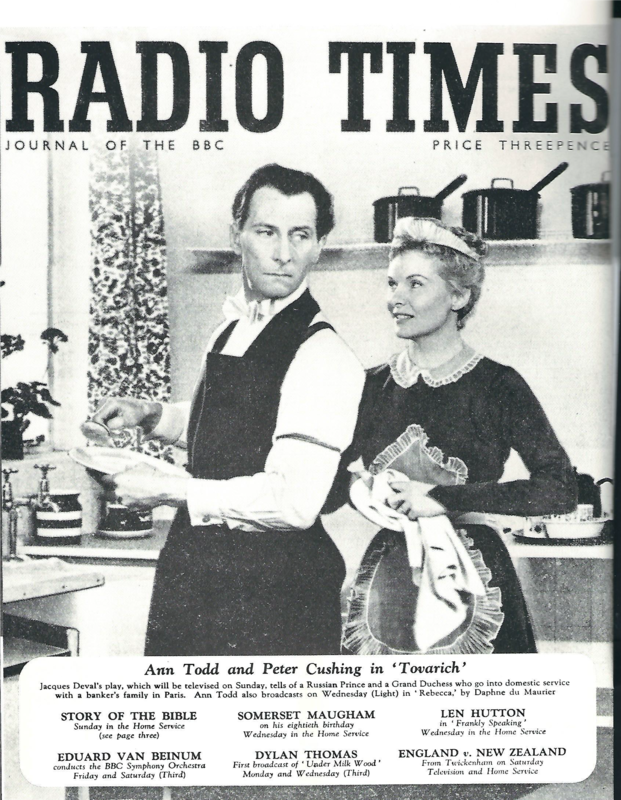 Goring met his present wife, producer Prudence FitzGerald, when she chose him from his photo in a casting directory for a part on a television show. They share a seventeenth-century house in London’s Hampton Court that looks out onto a royal park. He is seen frequently on British television and works almost constantly on the stage in England. The Winslow Boy, starring Marius Goring, was very well received throughout the tour of the United Kingdom in 1984. But his recent work is almost unknown in the United States, where he never became the name that he is in the United Kingdom. He played Germans so frequently and convincingly, many American moviegoers were confused as to his nationality. Since he has made only a few Broadway appearances and has never made a picture in Hollywood, he has not had the personal publicity a foreign character actor of his standing would receive in the American press. June Thorburn (8 June 1931 – 4 November 1967) was a beautiful and popular English actress whose career was cut short by her death in an air crash. Early life Born 8 June 1931 Karachi, which in those days was British India. She was the eldest of three children. She spent most of her schooldays in boarding schools in India, since her father was a colonel in the Indian Army and therefore her parents travelled a lot. When he retired from the military, they moved back to Britain. June began writing plays from about the age of seven. Her grandfather (Sydney Thubron) who had also spent many years in India as a design engineer, building many important bridges, made early ‘movies’ and she was the star in several, the first being “Her Second Birthday”, when she was only two years old. When she was 20 she left home and moved to London and there she met and married her first husband, Aldon Richard Bryse-Harvey. This turned out to be a short and stressful marriage – however she had a daughter in 1953, named Heather-Louise June. The marriage ended in divorce and June moved back to Hampshire, close to her family. 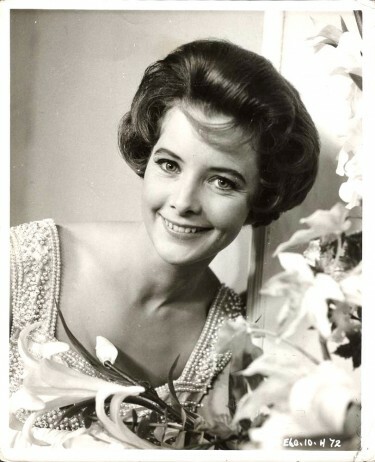 She remained there for a few years and then her career started to take off so in 1957 she moved back to London. There she met Morten Smith-Petersen, who eventually became her second husband. 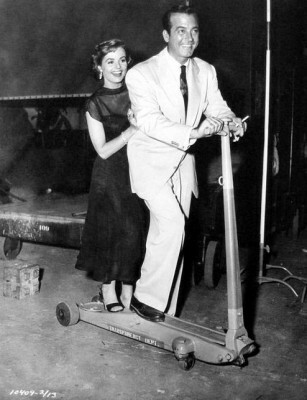 She was married to him until her death in 1967. Together with Morten, she had a second daughter named Inger-Sheleen Christabel. June had two children, Heather, now living in Tigard, just outside Portland Oregon. Sheleen, now living in Chiswick in London, and a Step-son, Simon (Me) Now living in Australia. We are all married. Heather and Jerry ,in Oregon have no children, Sheleen and Chris have a little Girl called Scarlet, And Susie and I have two boys,Ben and Dan and a daughter called Storm. Heather was the product of June’s first marriage, and Sheleen,of her second Marriage to my father Morten. 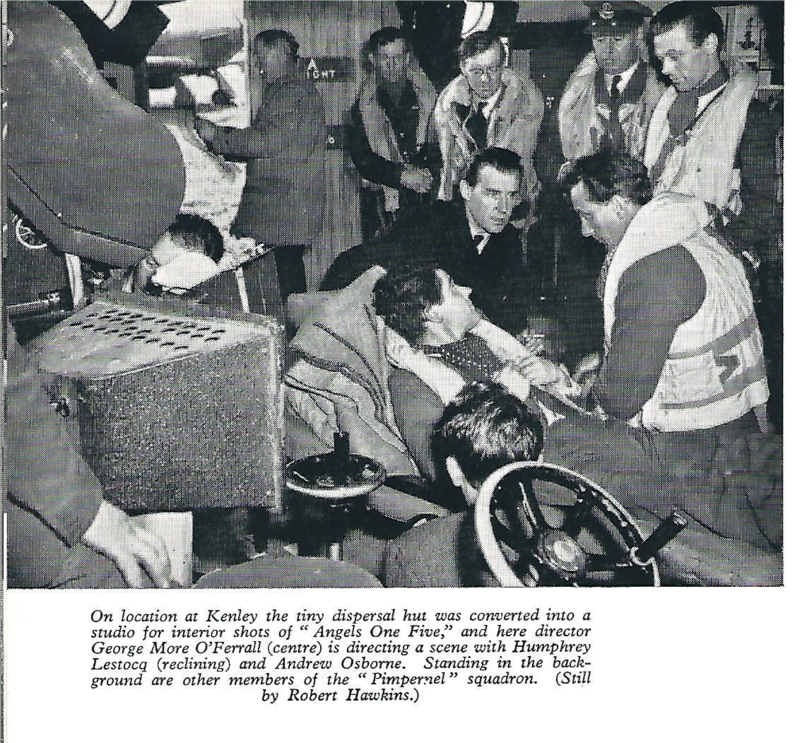 I was on duty with BEA (British European Airways) at the West London Air Terminal on the November night of the Iberia crash. BEA was the handling agent for Iberia in those days and the only flight to use Gatwick was the Malaga service, with the rest using Heathrow. 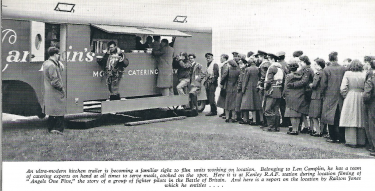 We, at the terminal, in Cromwell Road, usually received the passengers from this service around about 2 a.m. after they had travelled up from Gatwick to Victoria by train and then by special bus to the Terminal. Of course, it was, that evening, not to be. I hope it it not too intrusive to say that I spare a thought and a prayer for all on board as each successive November comes along. 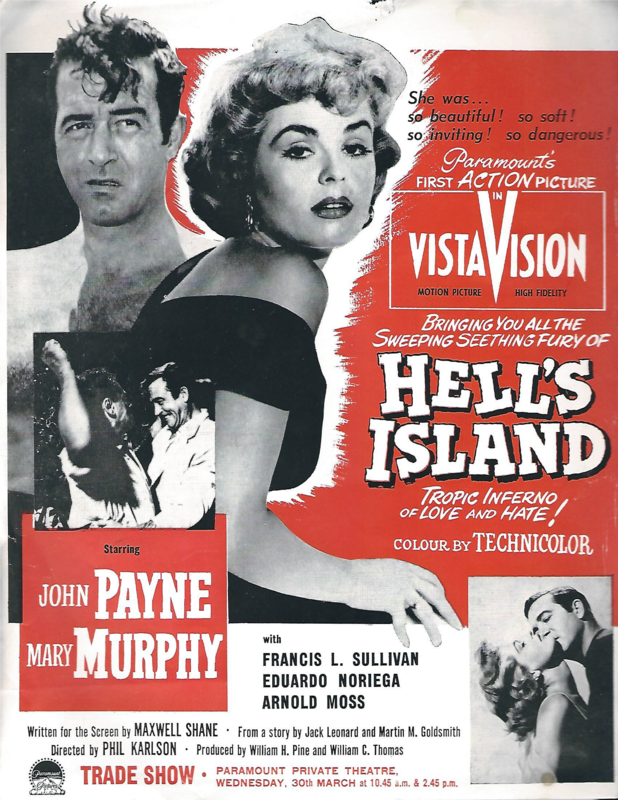 Fury at Smugglers Bay I remember well and in recent years the Richard Todd produced film ‘Don’t Bother to Knock’ which was not that successful, and of course Tom Thumb, but I also remember the very young and very beautiful June Thorburn in the 1951 version of Scrooge with Alastair Sim. Tom Thumb was released in 1958 and was quite successful at the Box Office. She is an actress well remembered by film fans such as myself even though she did not appear in that many films – but somehow they are films that I know well – maybe because she was in them. This would be done in the days that the big BBC Play / Drama would go out Live. 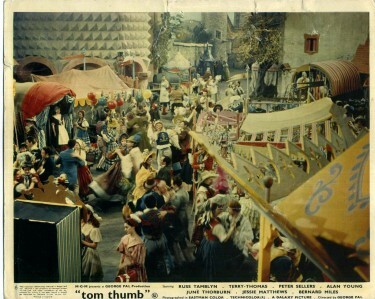 I remember this film from being a child – not so much because I saw the film which I didn’t until years later, but more because of the publicity that surrounded it at the time – and seeing what I think was a comic strip of the launching of the space ship at the end of the film – heading to the New World. 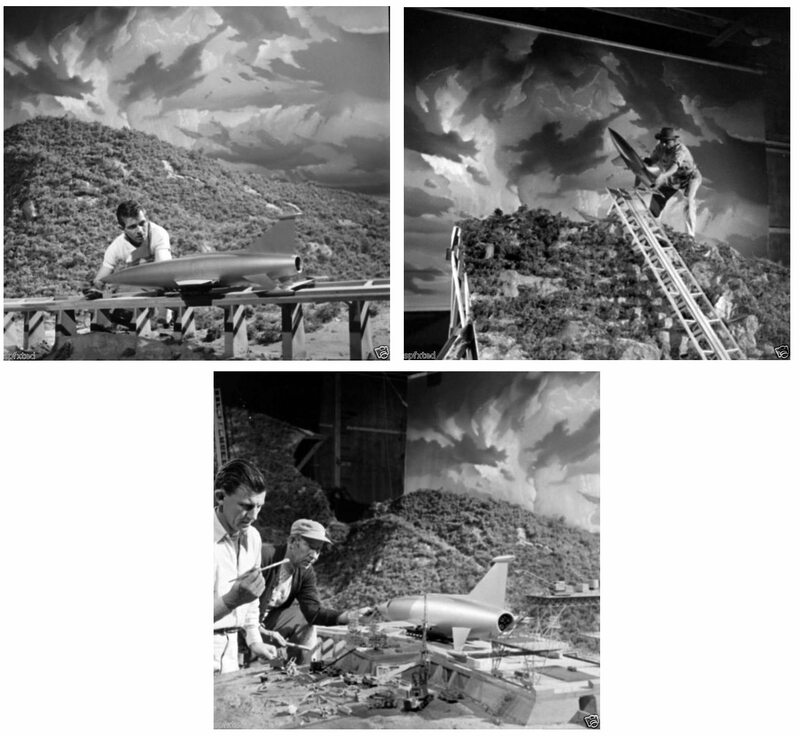 Below : Working on the large scale models. 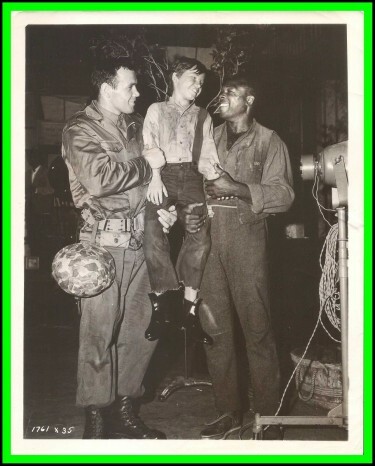 She played the second lead role in 1953’s Dangerous Mission with Victor Mature, Vincent Price and Piper Laurie. Whether singing Marlene Dietrich’s song “Little Joe” in Destry Rides Again or swimming with Tarzan, actress Betta St. John savored life in the Hollywood jungle. A long-time resident of Banning, Betta St. John was born Betty Striegler in Hawthorne, California, on Nov. 26, 1929. 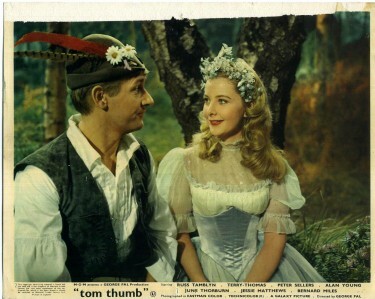 She started in movies as a background player in the late 1930s and early 1940s using her real name. “Those were the days of Shirley Temple. Many mothers sent their daughters to dancing school. At age 7, I started with theatrical schools on Saturday – dancing, singing, and all the bits you do at an early age. If the studios needed children, they contacted the theatrical schools. “I was seven or eight when I got my first background part receiving my social security number at age 8! “The nearest I came to playing a substantial part as a child was in the classic western Destry Rides Again in 1939 with Marlene Dietrich [as Frenchy, a dancehall girl of the Wild West]. That same year St. John was offered a role in the movie The Wizard of Oz but her parents turned it down. 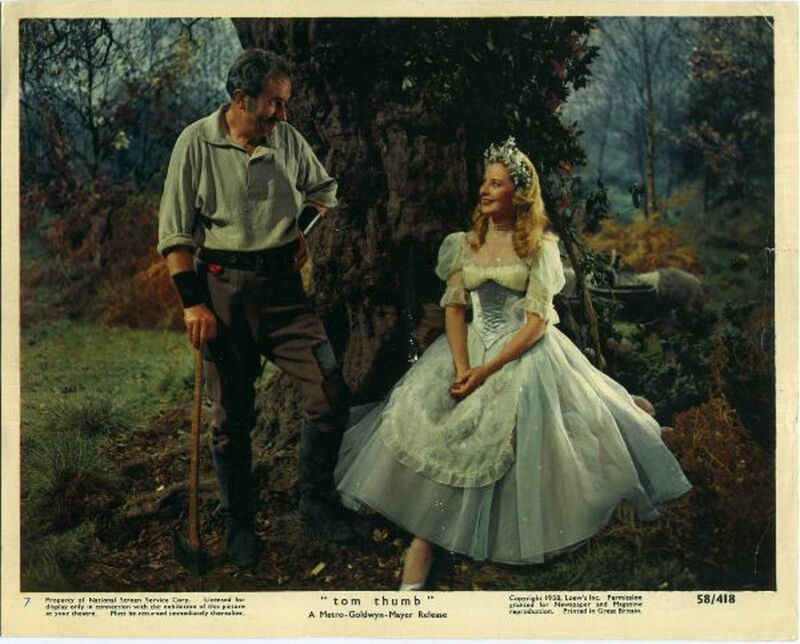 In 1944, St. John appeared in an Our Gang short and in Jane Eyre in an unbilled role. 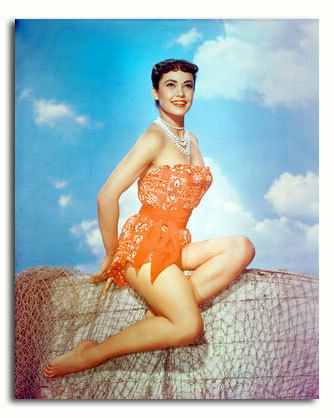 Rodgers and Hammerstein took notice of this young, attractive singing and dancing talent and cast her in a role in Carousel in 1945. She played Louise, the daughter of the principal players. When the musical team was ready to cast the role of Liat for their new musical South Pacific starring Mary Martin and Ezio Pinza in 1949, they had to look no further than the beautiful, exotic-looking Betta. “A couple of years after Destry, things really happened fast. I was contacted by the New York Theater Guild, which already had done stage productions of Rodgers and Hammerstein’s Oklahoma! and Carousel and were working on South Pacific. The Theater Guild workers came out to the West Coast because they were putting together various companies and needed more actors and actresses. Whatever I did obviously impressed them enough, because they came straight back and asked if I would go to New York, where they would put me into either Oklahoma! or Carousel, whichever one opened first. In 1999, St. John, along with the remaining original cast, attended the 50th anniversary of South Pacific in New York. Her husband passed away in 1992 and was unable to attend with her. St. John’s big splash on the musical stage soon led her back to films. 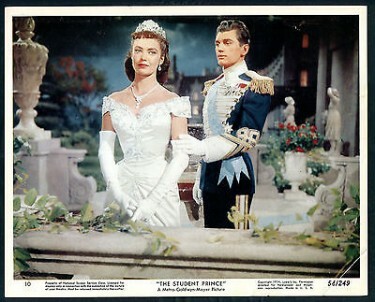 “In 1953 at the age of 22, I played my first grown-up movie part, a royal Middle Eastern girl, in Dream Wife opposite Gary Grant. When this part came along, my name was still fresh from playing Liat in South Pacific, and the part in that film was very Liat-like. So MGM called me and I was tested in London and brought back to Hollywood. “Immediately following that, I did a film called All the Brothers Were Valiant, also for MGM, which filmed in Jamaica. That was a lot of fun. In that movie, Stewart Granger, Ann Blyth and Robert Taylor played the leading roles. “Actually I kind of enjoyed it. It was a faster shooting schedule, and you didn’t get all the pampering and spoiling you did on bigger pictures. It must be what people experience nowadays when making an independent film – much more of a feeling that you’re involved. You understand what the whole thing is about, and you aren’t just a puppet who dances on a string. “Physically, yes, but he wasn’t much of an actor. It was an unbelievable character anyway Š don’t you think? He was convincing in the action shots, but I haven’t seen many Tarzans to compare. I enjoyed seeing Greystroke, which was based on a book. But that movie wasn’t anything like the old Tarzan movies. 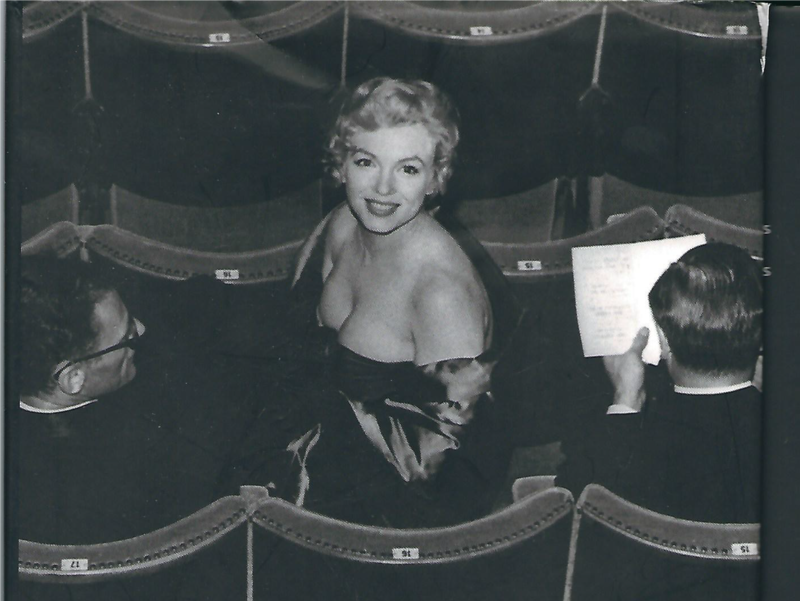 “I thought my career was long enough (1953 to the early ’60s) and I didn’t feel I was giving up very much at that point. But I gave it up mainly because I wanted to stay home and raise the children and my family was much more important to me. “Very few actors, even if they’re extremely successful, can keep a family and marriage together, with a good career going, too. By that time I had come to terms that I didn’t have the kind of acting ability that would keep on going forever. Betta St. John appeared in 38 films and a number of television productions. She has homes in Banning and England. In the summer she travels back to the U.K., where she enjoys activities like hiking the cliffs of Dorset. Marilyn Monroe in England for the filming of The Prince and The Showgirl 1956 is seen here at the Comedy Theatre in London and is waiting to see a performance of a View From The Bridge – a play written by her husband Arthur Miller. 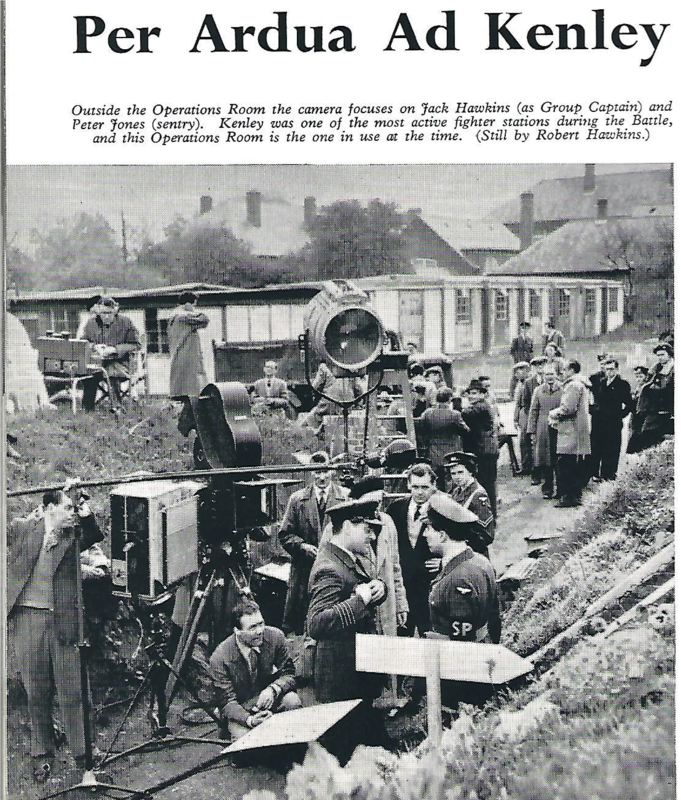 Much of the filming for Angels One Five was done at Kenley in Kent. 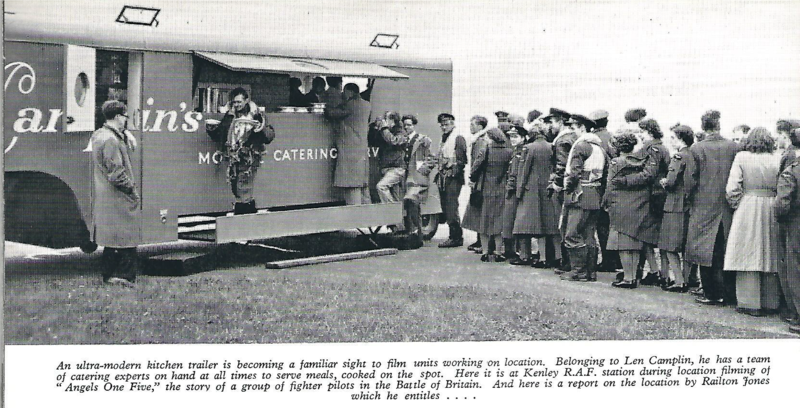 This even involved converting one smallish building on the Airfield into a makeshift film studio. 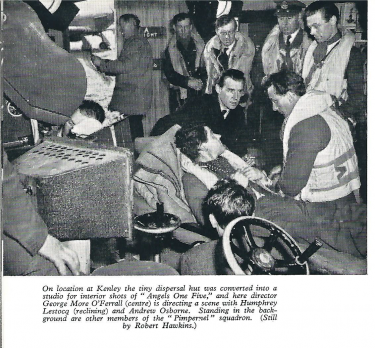 Below: Jack Hawkins acting out a scene in the film – I love the caption too. Above: Humphrey Lestocq in a scene . 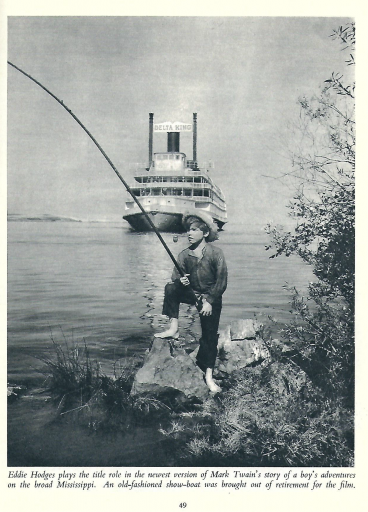 I just love this publicity shot from the 1960 film The Adventures of Huckleberry Finn. It also starred former Heavyweight Boxing Champion Archie Moore – in his first real film role although he went on the make a few more including Breakheart Pass with Charles Bronson in 1975. Above – An unusual picture. 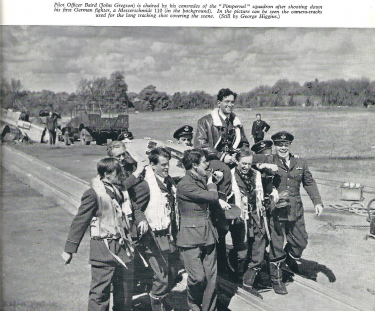 It shows Archie Moore being visited on the set of this film by Former Heavyweight Boxing Champion Ingmar Johanneson towards the end of 1959 and here they are lifting co-star Eddie Hodges off the ground. Charming picture. 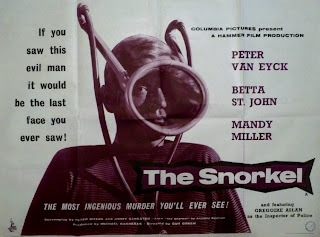 Just purchased and watched The Snorkel – actually bought it with Spanish sub titles – but it was an English version. Very good too with Peter Van Eyck as the sinister murderer and Mandy Miller as his stepdaughter who suspects he has murdered her Mother who he had married and before that her Father a few years before. 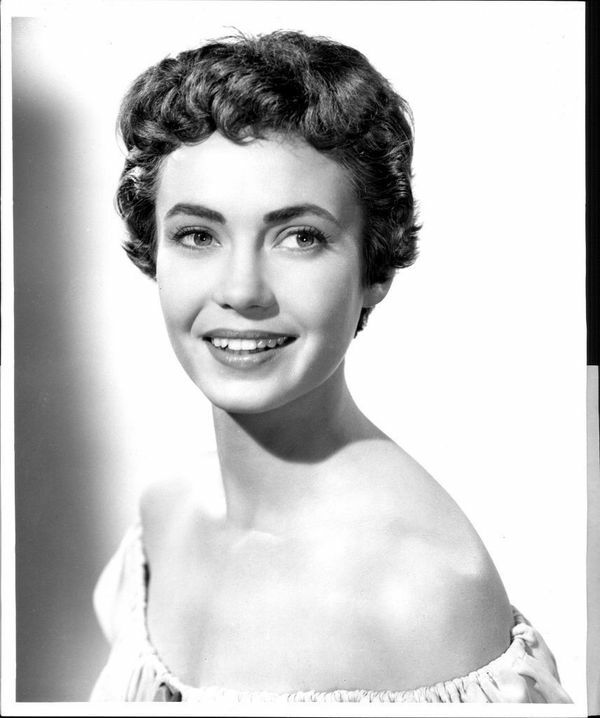 Also in the cast was Betta St.John playing Candy’s governess – More about her in a later post. On holiday from a British boarding school, Candy Brown (Mandy Miller) visits her mother and stepfather at their villa in a Italian coastal town. To her shock, Candy learns that her mother has committed suicide by sealing herself in a room and turning on the gas. Candy immediately suspects foul play, but the police inspector insists that’s impossible: the servants found Candy’s mother in a locked room completely sealed from the inside. The young woman remains unconvinced. She believes the murderer is her stepfather Paul (Peter Van Eyck). 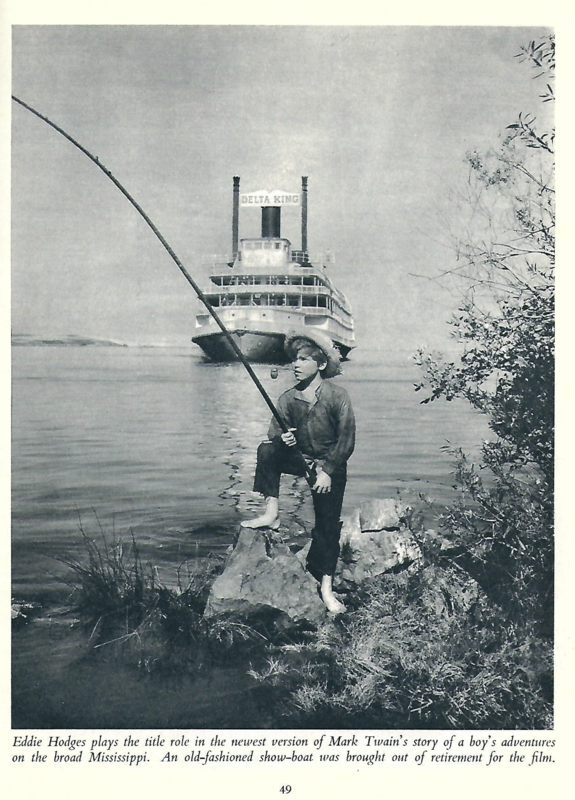 As a girl, Candy claimed that she saw Paul drown her father. No one believed Candy then and no one believes her now, not even her companion, Jean (Betta St. John). It appears that Paul has a perfect alibi. And besides, as the inspector pointed out, how could murder be committed inside a locked room? Mandy Miller was very believable as Candy. Peter van Eyck was sometimes downright creepy. Paul Decker murders his wife in her Italian villa by drugging her milk and asphyxiating her by gas. He cleverly locks the bedroom from the inside and hides inside a trapdoor in the floor until after the body is discovered by servants. He uses a scuba snorkel connected to tubes on the outside to breathe during the ordeal. Decker’s stepdaughter Candy suspects him immediately, especially since no suicide note was found. She also is convinced that he murdered her father years before, but her accusations fall on deaf ears. The ruthless Decker even poisons the family spaniel when the pet takes too great an interest in the mask and realizes he will ultimately have to get rid of Candy too. William Franklyn pictured above also featured in the film. 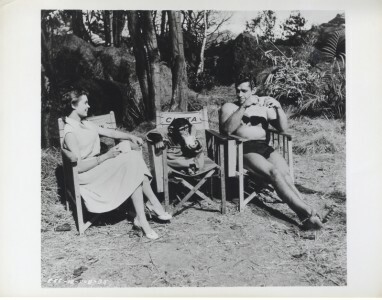 He had a long career in both films and television where he was a familiar face – one thing he is remembered for is the Schweppes advertisements which he was in for a long time. 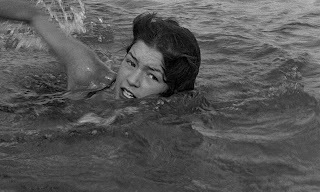 There is a very exciting swimming sequence in the film – which looked like ending in disaster for Candy but for the intervention of Betta St John who swims out to the two of them and effectively saves Mandy Miller.